The dogs shown below are the success stories of our partnership as a satellite/off-site adoption location of Rescue Village. We provided all the love, care and socialization they needed until they found their own family. 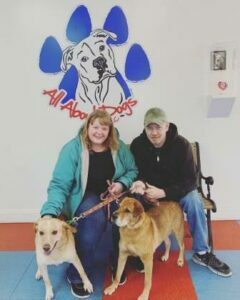 Marley & Tootsie are excited to go to their new home, March 2019. Congratulations! 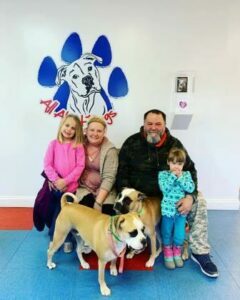 Dozer & Harley found their forever home in April 2019.